I got it. Sometimes it would mean selling when I wanted more and other times it would mean holding when I feared the price would drop or selling when I worried it might be going up. Two days before, a billionaire announced how he put 10% of his worth into cryptocurrency last year. Then sold most of his Ethereum when it peaked around $400, still retaining 10% of his worth in cryptocurrency. He projected it would continue to drop and suggested that it might be worthwhile buying Ethereum when it hit $150 and $200. I had been watching a slowly falling Ethereum trend, when I read this news. 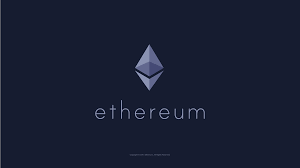 Ethereum had steadily moved from $308 that day down to $285. I had actually googled the news because I was wondering what was up. Immediately, I envisioned a drop like we had a few days prior when someone falsely spread a rumor that the founder of Ethereum had died. I totally expected Ethereum to rapidly drop to $250 in response to this new, bad news. I decided to sell with the plan on buying again when it was at $250. This idea was just some conclusion my mind came up with. There was no emotional charge of fear or greed really. I was being logical. Almost automatically, I sold 50 of my Ethereum coins. Immediately the price began to rise and I was immediately thrown into fear. What had I done?! Perhaps I was being logical and unemotional, but my reasoning was based on an assumption that bad news would spike a sell off. Perhaps this does have some basis, but I had not even really thought it through. I was filled with regret. I had not really thought it through and analyzed the trends. At the same time, I considered buying more Ethereum! When I looked at the trend, it appeared that the coin’s value was moving up. I had sold my long term investment stash, but I was poised to buy with my day trading account. I felt so confused. Could it be a good time to buy and to sell? Yes, actually it could be. At that moment, I was expecting a drop that might take a day. On the other hand, right at that moment was a surge upwards that might last 30 minutes or a couple hours. Tempted to buy right after I sold, I decided that I didn’t want to watch the ticker all night for the right time to unload. I woke up the next morning and the Ethereum price was still high. Feeling emotional, I put in a buy order at the price I sold the night before. I was hoping the coin price would drop back down. I just wanted to get the coin back and would be happy to get it for the same price I sold at. That would be like making that rash decision go away. Around noon, it dropped back down to $285 and my buy order was processed. I was happy, because it was what I wanted. But in retrospect, my mind was still in the past. One of the challenges with day trading was staying in the present. I was learning this as I went. Even as I was buying again, I was thinking about how I really should be selling. Or actually, I was thinking how I really should have sold more when it hit the $290’s again, since, after my fear had worn off, I had a sense it was going to go down. Maybe in spits and jerks, but I expected it to reach $250 for sure. It is 7:30am and I am sitting here watching the ticker for the cybercurrency, Ethereum, on one of my three monitors. It used to be that I got up, meditated, had breakfast, and then moved outside for my morning practice of Chi Gung and Vajra Dance. But, that all changed last week when I decided a week ago to become a day trader. I still do my practice, but I intermingle my routine with monitoring the real-time sales and buys. My success? Well, for the week I am at a $1619 loss in terms of money. However, I am intrigued by my emotional attachment to outcomes. I think my gains in this area outweigh any possible monetary loss. This all started mid May when I woke up one day and decided to check my bitcoin and ethereum values. It been a couple of months since I’d last looked. When I logged into my Coinbase Account, I could only just stare. “So, this is what it feels like to become an instant millionaire,” I thought. The small investment my partner and I had made the prior year had initially gone down and then just stayed flat. Now the value was 10 times the purchase price. Wow! I wasn’t a millionaire, by far, but the change in value was so dramatic. I could feel something shift inside me. I had recently made investments in myself, and saw this as a direct payoff for the money I spent on a business coaching program. I called my partner to the computer. I said to him, “Should we sell?” Ethereum was at $175 that day, but I could imagine it increasing like Bitcoin to over $2000 dollars. I went to the sell page and sat their contemplating. Then he bent over me and put the max we were allowed to sell in the cart and hit the sell button. I gasped! I turned to him in amazement and said, “You just pushed the button,” as if that was the easiest thing to do. He seemed to do it without much deliberation. I pondered the truth of it. It was just numbers. The source of my income is not Ethereum, or Bitcoin, or my work. Still, I was attached to those numbers.